The decision follows a London-wide consultation organised by London Councils on its proposals to introduce either a levy or a ban on throw away shopping bags in the capital. Over 90 per cent of people responding to the consultation called for action on shopping bags; nearly 60 per cent felt strongly enough to call for an outright ban. Leading environmental organisation Waste Watch, and global social change movement We Are What We Do, have also today announced their support for the proposals. 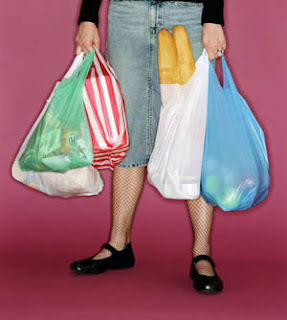 In the UK, over 13 billion bags are issued every year to shoppers – roughly 220 per person every year. For London, a conservative figure based on population size would indicate Londoners use at least 1.6 billion bags per year – although the number of tourists in the capital suggests that this figure is probably much higher. While some of these bags will be re-used once or twice, official figures reveal that only one in 200 of these are recycled, meaning that billions of shopping bags are sent to landfill every year. Many of these will be plastic bags that can take over 400 years to break down.